A world with a safer cyberspace rocks right? 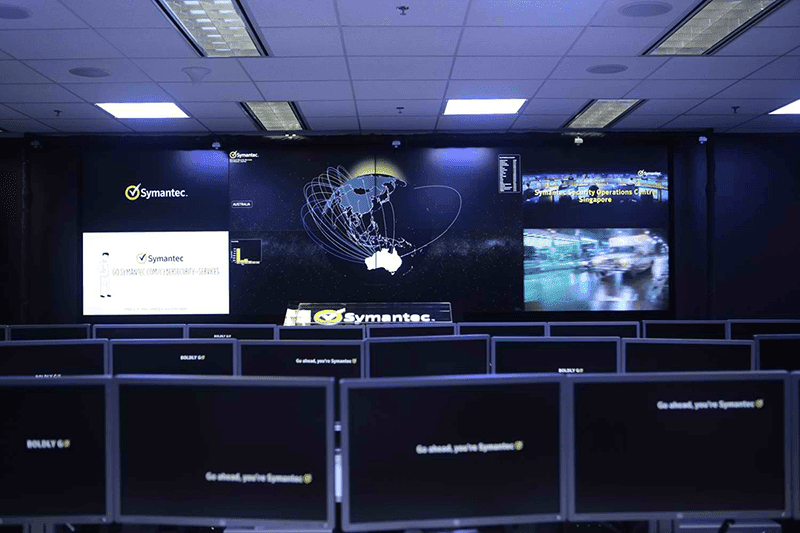 The good thing is companies like Symantec are preparing for the future threats bu putting USD 50 Million of investment for expansion in Global Security Operations Centers for a larger Asia Pacific presence to give customers more comprehensive monitoring and intelligence to stop advanced attacks. They just inaugurated a new dedicated Security Operatios Center in Singapore, doubling Symantec's Cyber Security Service expertise in the region. With that, more than ever, organizations that requires deeper security understanding and strong proactive security measures gain the upper hand now. Symantec’s SOCs analyze 30 billion logs worldwide each day to provide enterprise-wide protection to help organizations strengthen their defenses and respond to new threats as they emerge 24 hours a day, 7 days a week, 365 days a year. With that launch of the new SOC in Singapore, businesses of all type can now have access to intelligence, accurate threat detection and proactive notifications of emerging threats to ensure that their most important data is safe and sound. That also reduce the time between detection, response, actual operational cost and proactively counter emerging threats. Last year Symantec’s team of cyber professionals protected organizations from more than half a million web attacks per day, according to the 2015 Internet Security Threat Report. The investment will enable the company to expand its Chennai, India SOC as well as the Tokyo, Japan SOC. The next phase of the company’s SOC expansion will take place in Europe, with more facilities expected to open within the next 12 months. Once complete, Symantec will have eight SOCs worldwide, extending their current team of 500+ certified cybersecurity professionals to address every stage of the cyber-attack lifecycle. Symantec has also invested significantly in its cyber services-enabling technology, including big data analytics and distributed computing. With an increasing demand to manage customers’ security environments with Security as a Service, Symantec Cyber Security Services offers a strong portfolio, including Managed Security Services, DeepSight Intelligence, Incident Response and Security Simulation training. This announcement follows a US$20 million investment in existing SOCs across Australia, India and Japan in the past year.